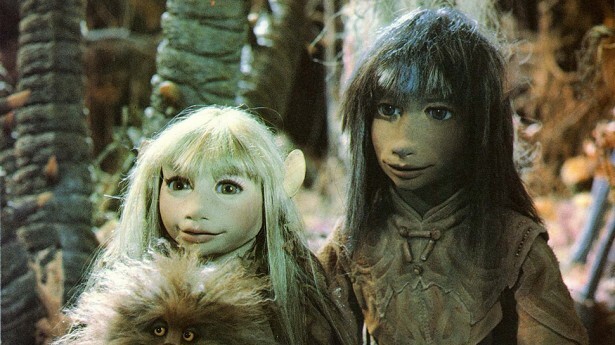 With the announcement of Netflix's upcoming The Dark Crystal: Age of Resistance series, we're feeling very high about the wonders of Jim Henson's world and the joys of practical effects! So to celebrate this momentous occasion, we've put together a collection of some of the most magical, mystical, and magnificent puppetry in cinematic history. Where else can we begin but with The Dark Crystal itself? Frank Oz and Jim Henson's beautiful hard fantasy epic is still as breathtaking today as when it was first released in 1982. Brian Froud was the conceptual designer behind The Dark Crystal and its spiritual sequel, Labyrinth, was fantasy illustrator tasked with bringing to life Henson's vision for these worlds. The film utilized many of the iconic Muppeteers--puppeteers from Henson's Muppet Show--for the main characters. It also revolutionized puppetry, featuring entirely new forms of puppetry using mimes, dancers, and acrobats, creating entirely new stages and spaces to enable them. Alongside the physical puppeteers, the film took advantage of completely new animatronic and remote control puppetry technology. Jim Henson's last feature film was a fantasy musical that aside from its two main human stars (one of which being David Bowie in one of his most iconic roles) was predominantly filled with a cast of puppets. Expanding on the incredible technology that they pioneered in The Dark Crystal, The Jim Henson Company brought to life a world inhabited by some of the most complex puppets ever seen on the silver screen. Jennifer Connolly's erstwhile goblin guide, Hoggle, was controlled by five different puppeteers at any one time. Though the film was a commercial flop at release, it's since become one of the most beloved fantasy films of recent history due in no little part to the puppetry of Jim Henson and his collaborators. There are some moments in movie history that really change the path of Hollywood forever. Jurassic Park was one of those landmarks. During the production of the seminal dinosaur disaster movie, the creative team were planning on using Harryhausen-esque stop motion to bring their prehistoric protagonists to life. That all changed when a group of animators from ILM bought Steven Spielberg test footage of their CGI vision for the dinosaurs. The finished film only included 14 minutes of visual effects, and it was the team's collaboration with the puppeteers from Stan Winston's company that was revolutionary. Combining state-of-the-art animatronic puppetry with never-before-used CG technology, the team crafted a film that's to this day one of the best looking blockbusters of all time. John Carpenter is a master of many things, and one of them is undoubtedly practical effects. Chief among his exploits in the field were classic films like Big Trouble in Little China and 1982's sci-fi horror classic, The Thing. Though the latter film is memorable for its claustrophobic atmosphere and stellar cast, the incredible practical work and puppetry really bring the horror to life. Unbelievably, special effects maestro Rob Bottin was only 22 when he created the world of The Thing. Operating the majority of the film's astounding practical effects himself, Bottin worked tirelessly on The Thing, but did call in the one and only Stan Winston to work on the film's terrifying Thing Dog puppet. Their work impressed Carpenter so much that he scrapped much of the film's stop motion work that he found to be unrealistic by comparison. Everyone's favorite '70s space opera, the original Star Wars Trilogy, is a joyous celebration of majestic special effects and puppetry. Part of George Lucas' struggle to bring Star Wars to the big screen was that the technology just wasn't deemed good enough to create a sprawling space epic like A New Hope. With CGI in it's infancy, Lucas had to craft his world entirely by hand, and in doing so created one of the most beloved sci-fi landscapes of all time. The man behind the most famous galaxy in our universe: John Dykstra. Working alongside his team at ILM, he crafted miniatures, robots and puppetry that became the backdrop for the characters we know and love. Frank Oz was the legendary puppeteer who brought Master Yoda to life, recommended by a preoccupied Jim Henson, Oz's dynamic puppetry and unique voice work combined to create one of pop culture's most evergreen icons. 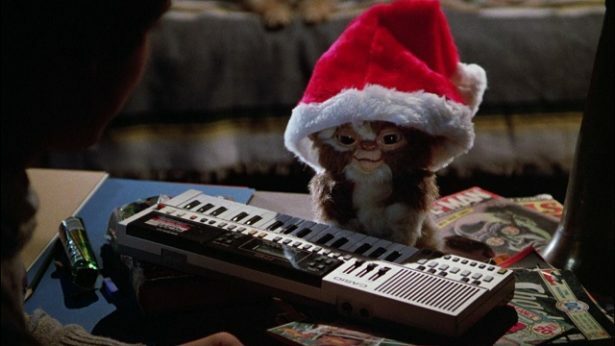 A contemporary Christmas classic, Joe Dante's Gremlins has a place in many of our hearts, mostly because of a fuzzy little puppet called Gizmo. The horror-comedy by which all others should set their bar is a masterpiece of classic puppetry and animatronics, with the iconic monsters still looking as wonderfully creepy today as they did 30 years ago. Chris Walas created and crafted all of the film's puppets on a shockingly low budget, which led to the use of many traditional hand puppets, some that were even operated by the actual cast. Many of the original Gremlins puppets needed at least two people to operate them due to the animatronic mouth mechanisms. As tough as this was, it was worth it and surely better than the original idea for the Gremlins: using real monkeys. If there's something strange in your neighborhood, who you gonna call? Well, if you want the radical Oscar-nominated effects of the 1984 classic, then that would be Richard Edlund. After working on Star Wars and leaving ILM, Edlund founded Boss Films Studios and was in charge of Ghostbusters' effects from early in production. One of the most famous spooky sidekicks, Slimer, was an incredible feat of puppetry and early VFX work, which alongside the movie's classic opening ghoul--an animatronic ghostly librarian--set up the film's creepily comedic tone. Crafting a world filled with unbelievable creatures, bought to life with state-of-the-art puppetry, Edlund was an integral part of Ghostbusters success. Verhoeven's subversive satirical masterpiece blasted onto our screens 30 years ago, making an impact with its visceral violence, bleak humor, and out-of-this-world FX. Oscar-winning Phil Tippett was for many years the only man to go to if you wanted stop-motion effects in your film. A modern day Ray Harryhausen, Phil's amazing work is renowned throughout Hollywood, and one of his most striking creations is in the RoboCop series. Using advanced puppetry, Tippett and his team created the quintessential out of control '80s robot in ED-209. In one of the movie's most memorable scenes we see ED-209 malfunction to deadly effect in a board room full of yuppies, and Tippett's unique style gives this moment the life and comedy that makes it magical. Along with ED-209's tragic demise in the face of a staircase--executed with a comic timing not seen since the Marx Brothers--ED-209 is as vital as any of RoboCop's major players. This cult classic is a musical masterpiece as well as a masterclass in ambitious puppetry. Directed by Yoda himself, Frank Oz, Jim Henson's regular collaborator brought all of his puppeteering skills and imagination to this huge project. A remake of the 1960 classic that Roger Corman allegedly filmed in three days on a bet, Oz took the story to new heights, not least of which with his incredible vision for Audrey II, the cannibalistic plant protagonist who by the end of the film needed an unbelievable 60 puppeteers for its final incarnation. With six separate animatronic flytraps constructed during production, Little Shop of Horrors pushed the boundaries of the role that a single puppet could play. The cast and crew's dedication to Audrey II certainly ran deep, with the cast even lip syncing in slow motion alongside the plant because the animatronics looked better when sped up on film. What are some of your favorite uses of puppetry in films? Let us know!